This 22" Wide bathroom Sink Vanity ships with a Travertine countertop, optional Travertine vessel sink and has 1-door storage and 1 door drawer. Big cutout back for plumbing installation. Great value! 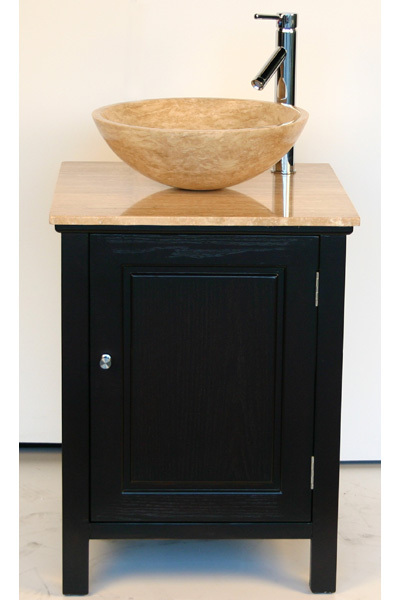 Overall Dimensions W=22" D=22" H=29"
This vanity ships with a travertine counter top. Vessel Bowl is $146, extra. Faucet sold separately. Click here for vessel faucet selections & pricing.